Paul is the Labour Member of Parliament for Newcastle-under-Lyme in Staffordshire, a member of the Culture, Media & Sport Select Committee in the House of Commons, and a Vice Chair of the All Party Parliamentary British-Japanese Group. Before entering Parliament in 2001, Paul worked for 11 years in the press. He was the City Editor of The Observer, Deputy Business Editor of the Independent on Sunday, and before that a correspondent and news editor for Reuters. Prior to his work in the media, Paul spent six years in the Corporate Finance Division of Barclays de Zoete Wedd, the investment banking arm of Barclays Bank, in the City of London. 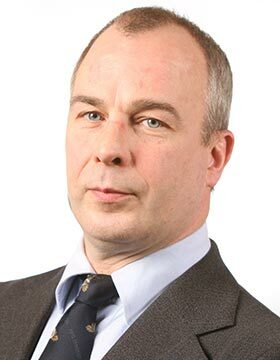 In addition to his interest in Japan, Paul is a Europhile with a keen interest in languages (speaking German, French and Italian), chairs the British–German Group in Parliament, and is actively involved in several other cross-party groups. Paul is also the Vice Chair of the Parliamentary Rugby Group and Commons & Lords RUFC, which has been a long-time supporter of the Rugby World Cup being played in Japan. He is delighted that in 2019 this will become a reality.